The AIIA is an independent, non-profit, apolitical, national organisation, committed to the promotion of informed discussion among members of the Australian public on international issues and their impact on Australia. 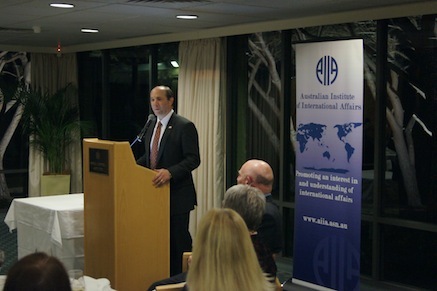 The ACT Branch of the AIIA aims to increase awareness of international affiars through its events, publications and presence in the community while not advocating its own view. Annual Dinner of the ACT Branch in August 2013.